It is for sure that bathroom fixtures enhance beauty and add value to your bathroom. You might think that these are simple changes and perhaps ignore it for some time. But, even though changing fixtures appears to be a small work, it will bring huge difference. In fact, you might find dramatic change as well. We have a wide range of fixtures available and our experts will help you get them installed properly and at open and straightforward present rate. There are no hidden charges as we present flat rate pricing. We provide books with printed price with all of our technicians so that you do not have to worry about pricing. The rates of our technicians are also based on the work and not on hourly basis. Besides kitchen sinks, we can install simple toilets, water efficient toilets, kitchen and bathroom faucets, bath tubs, hot tubs, garbage disposal, dish washers and water filtration and purification systems. So, if you need an experienced and well trained technician for any of the above mentioned work, call us. 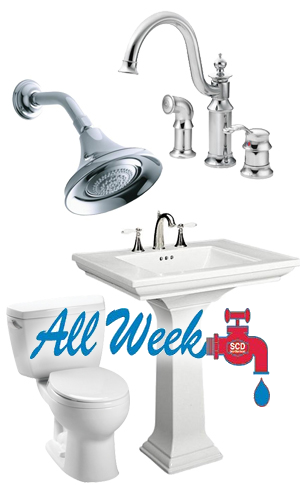 Water and sewage treatment cost far less if you call us for the service. We have customers who prefer coming to us whenever they have any problem as we provide high standard and prompt service. We will help you remodel your kitchen or bathroom the smart way. We will give you suggestions and reasons along with the reasonable rate for the work. If you are interested to learn about the upgrades, you can call us or email us depending on your convenience. We attend emergencies too without costing additional.